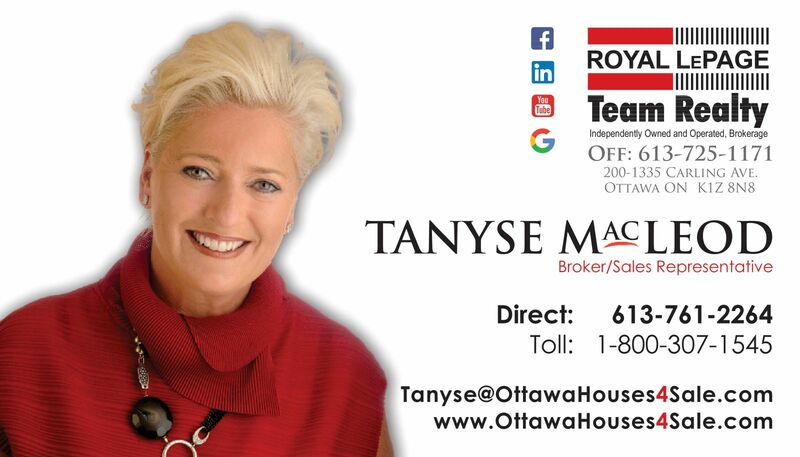 As a Fully Qualified, Ottawa Based, Professional Real Estate Team, we deliver Dynamic, Full-Range Real Estate Services, with primary emphasis on client satisfaction, to all our past, repeat and new clients. Together, we have a Comprehensive knowledge of the Residential Real Estate Market. We understand your Needs and Concerns about Buying or Selling a Home. Tanyse was mentored by, her mother and business partner Sylvia MacLeod, who was an award winning agent with 34 years of expertise in service. 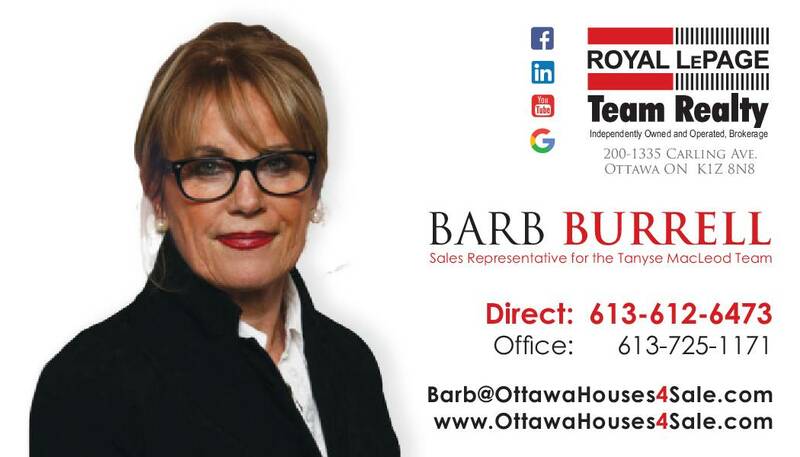 Tanyse with 20+ years experience herself has expanded the team to include a valued agent in the Real Estate Industry, Barb Burrell, who brings another 15+ years experience in Real Estate to better serve our clients needs. As a Team, we were ranked in the TOP 1% (#75) in Canada for Royal LePage in 2006 2008 2009 2011, Top 40 in Eastern Ontario for 2013, Top 3% Annually and are on track for another great year. This is a very highly regarded accomplishment within the industry and is only obtainable through hard work and dedication to our clients and our referral business. This being said, our clients are our first priority...it is their satisfaction that is important to us, not the sale itself. We hold ourselves to high values of honesty, compassion, professionalism and integrity. 80 - 85% of our business is based on repeat clients and referrals from satisfied clients. We request all clients to complete an after-sale survey and provide a testimonial as a Quality Assurance measure. We Specializing In: Military, Corporate, and Family Relocations through an extensive Nationwide Referral Network. Executive, Single Family, Condo and New Home Sales. Assisting First Time Buyers, Mortgage and Financial Advice. Customized Home Marketing Campaigns. Education: Lester B Pearson - OAC University of New Brunswick (Fredericton & St John Campus) BSc.